Dirty dishes Scrub away at those dishes! Keep your kitchen free of dirty dishes after a dinner party. After dinner, the dishes looks very dirty, so they are need to be scrubbed. However, the little boy do not the way to wash them clean. So try to help him if you know anything about it! I was walking past the sink and saw it full of dishes. I suddenly felt like washing the dishes! Who knows? Mom might even reward me with some wogs! I have some concentration problems though please help me finish all the dishes in less then a minute! Use mouse to clean the dirty dishes. If you want to play Dirty Dishes games online you have come to the right place! GamesLoon adds new Dirty Dishes games every week. This is your game portal where you can find the biggest collection of free Dirty Dishes games online. 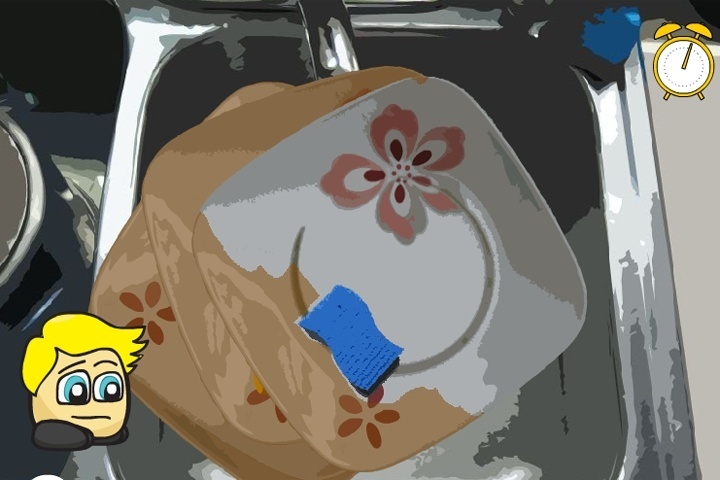 Do not forget to rate our Dirty Dishes free online games while playing!